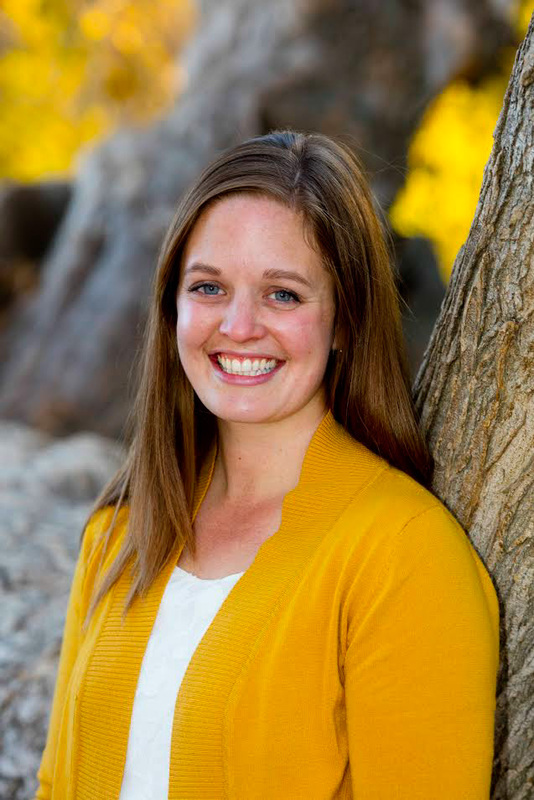 I am delighted to share my love of art with my children as we make artistic exploration a priority in our homeschool. Please join me each Friday as I post the latest addition to our art journals. I share easy ideas to incorporate making art into your family culture. 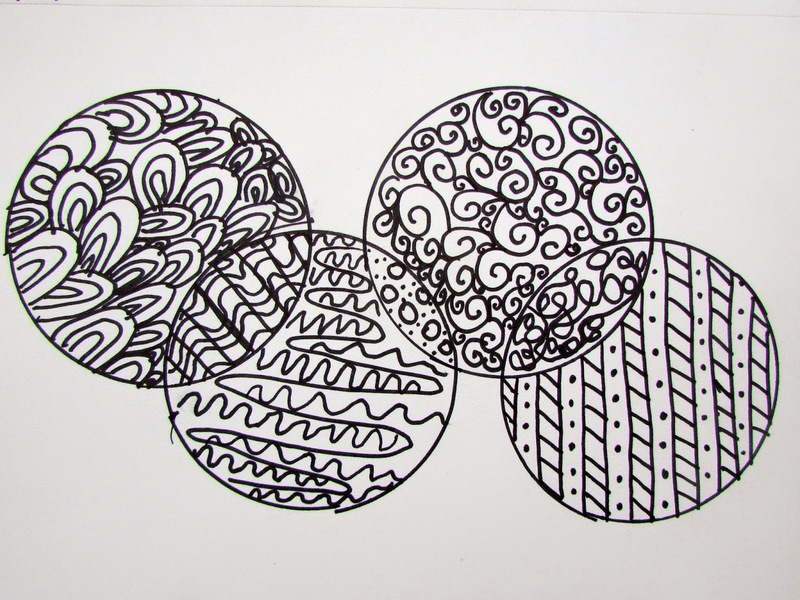 I have been experimenting with doodling and zentangle as part of my Year of Creative Habits challenge. It's been so addictive for me, and I couldn't wait to share it with my kids. 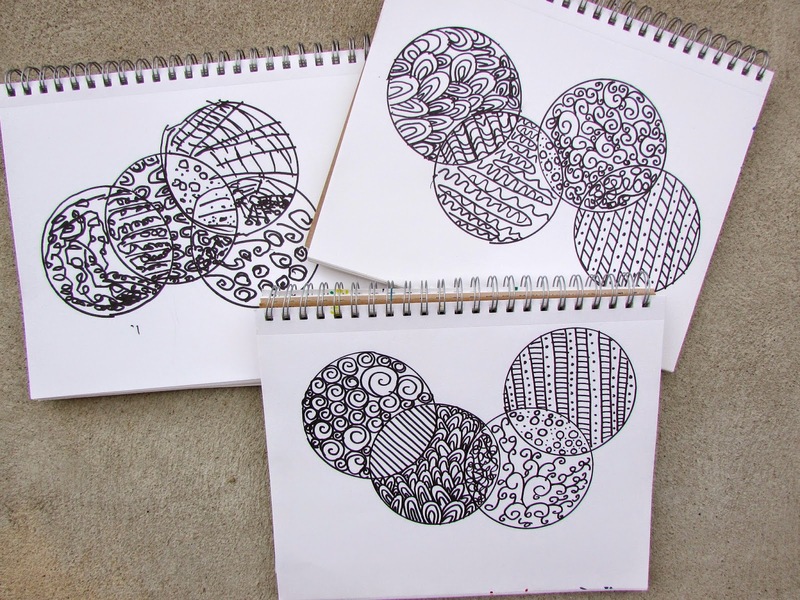 Zentangle is basically the practice of drawing beautiful images through patterns. These pieces of art can be incredibly elaborate or beautifully simple. 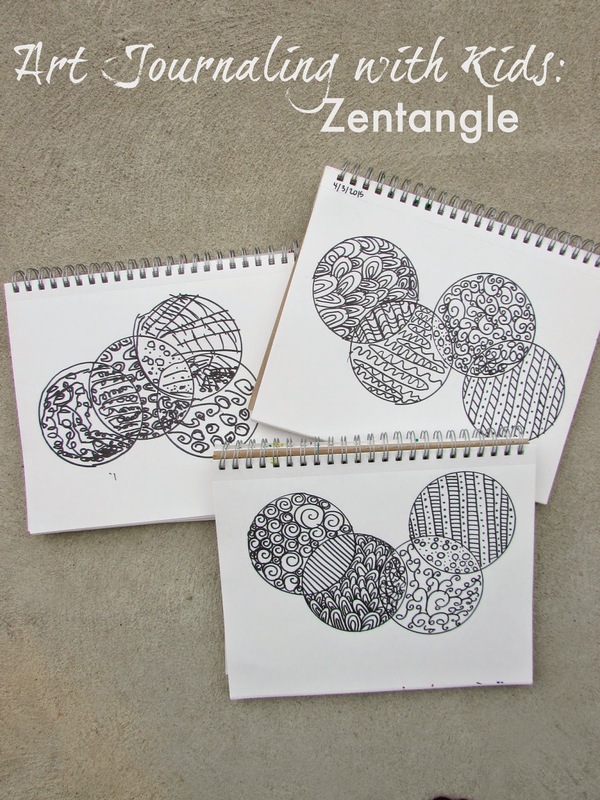 As my kids and I are just starting out in our practice of "tangling", we started with very simple patterns. 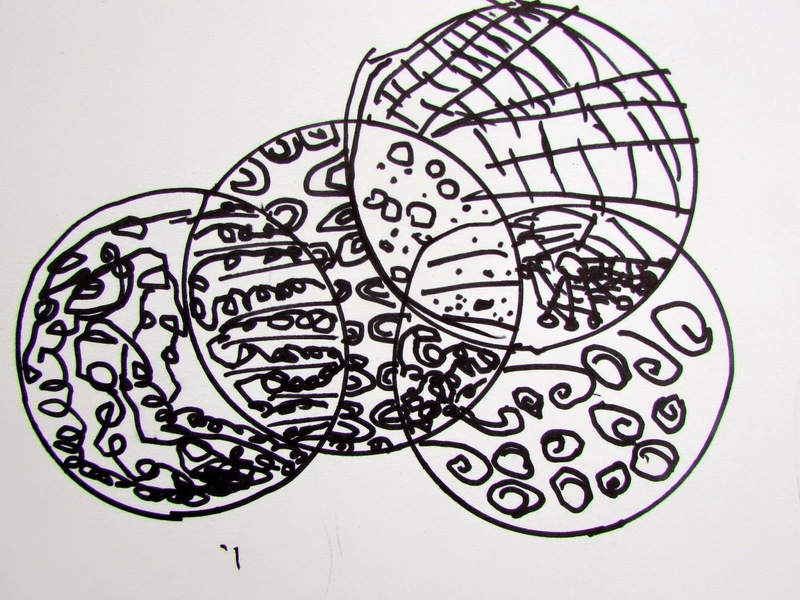 We started by drawing several overlapping circles in our art journals, using a ceramic jar as a guide. We used regular sharpies for these drawings in order to simplify the process. I wanted to eliminate bickering over pens and the need to make decisions about colors, pen sizes, etc. But if I were doing this on my own, I would definitely have used my nicer pens in a variety of sizes. Each section of the circles was filled with a different pattern. Arches, swirls, dots and lines in different directions. Detailed work like this is a almost a meditative experience for me, and I found that to be true for my kids also. I began my drawing first so they could understand the project. Then they began their own designs and we worked quietly alongside each other as we filled in the sections. We talked about what we liked about each of our drawings for a few minutes . 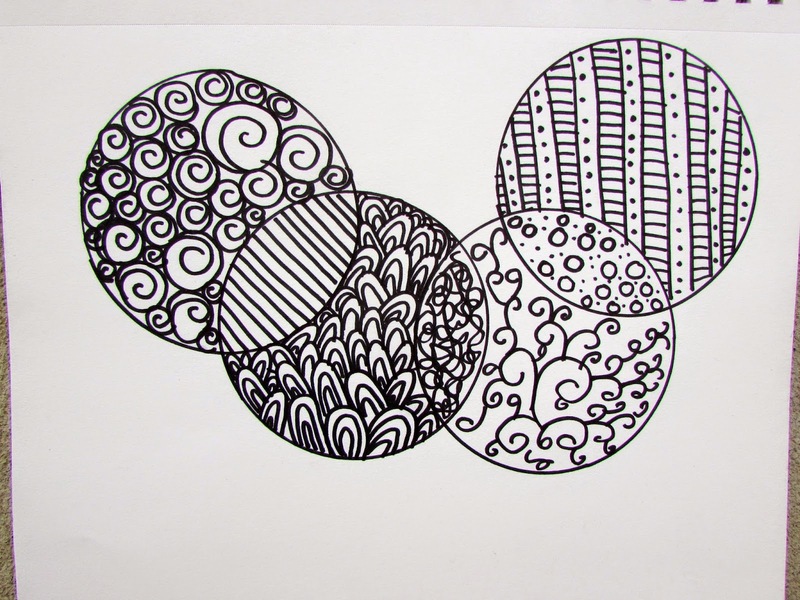 Both kids wanted to do something like this again, so we will definitely be experimenting more with zentangle. Follow my Doodle Inspiration board on Pinterest.